The LAII is pleased to partner with area educators and organizations to annually support the following local events. Anyone interested in learning more or participating in these activities is encouraged to contact us for more information. These events are free and open to all interested educators, but pre-registration and appropriate planning are necessary to be involved. Since 2003, the Spanish Resource Center of Albuquerque (SRC) has overseen the Cuentistas contest, an essay contest in Spanish for New Mexico high school students. Non-native and native Spanish speakers are encouraged to submit creative writing samples for consideration in the contest. All are encouraged to participate to help demonstrate that the Spanish language is alive and thriving in New Mexico. As the contest explains: "No soy ni mago ni ventrílocuo. No tengo que poner voces. Las voces están ahí y las historias que van a leer a continuación hablan por sí mismas. Las últimas ediciones del concurso literario estatal en lengua española han demostrado que hay muchos muchachos de sexto a duodécimo curso en Nuevo México que tienen voz en español y que están dispuestos a hablar alto y claro en su lengua madre o en su segunda lengua." Each year the SRC held the event in partnership with the Instituto Cervantes of Albuquerque, National Hispanic Cultural Center, New Mexico Association for Bilingual Education, New Mexico Public Education Department, University of New Mexico Continuing Education, and the UNM LAII. Since 2000, the LAII and the Spanish Resource Center have partnered to produce this elementary school student poetry contest. Elementary school kids (from first to fifth grade) recite a poem in Spanish in the most artistic and beautiful way in front of a crowd of over 300 people. The event is held annually at the National Hispanic Cultural Center, a beautiful venue where teachers, classmates, and family members gather together to celebrate students' success. Each year promises to bring yet more dramatic poetry to the stage! The Spanish Model UN Conference began as a final project in one of the advanced courses at Bosque School. Since the beginning the intent was to help stimulate the dissemination of the Spanish language and culture in a relevant, authentic context. In the last several years the project has expanded to include students from Albuquerque, Santa Fe, and Las Vegas schools. 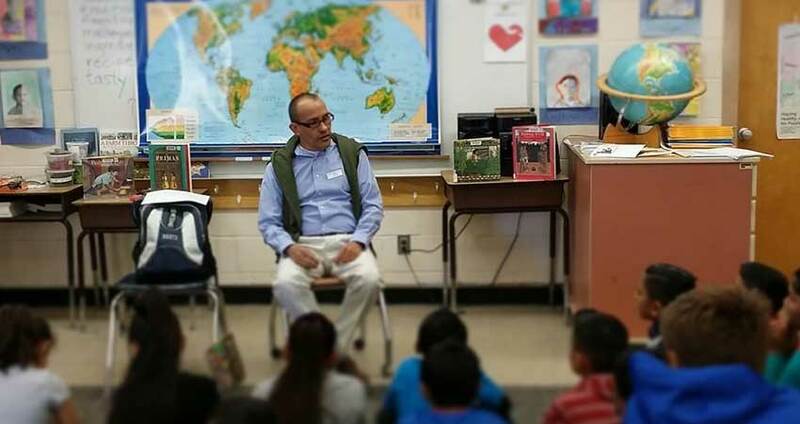 Organized annually by a consortium of participating teachers, the event is supported by the Instituto Cervantes of Albuquerque, Spanish Resource Center of Albuquerque, National Hispanic Cultural Center, and the LAII. Participating students develop and practice skills for debate, analysis, discussion, conflict resolution and negotiation, following the model applied by the organization. Students also become more globally conscientious as they learn about the vital and humanitarian mission of the United Nations. To learn more, visit the Modelo Naciones Unidas website.